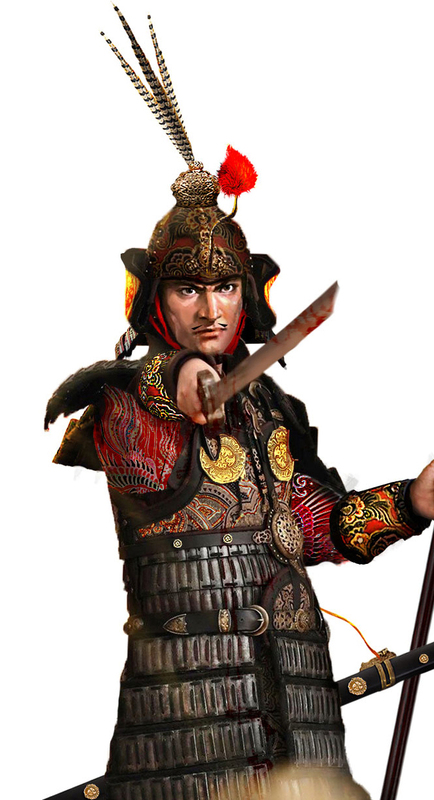 I have recently taken the liberty of making this piece of concept art of an imperial officer in full combat regalia during the High Tang era- consisting of the reigns of Empress Wu, Zhongzong, Ruizong, and the long reign of Emperor Xuanzong. 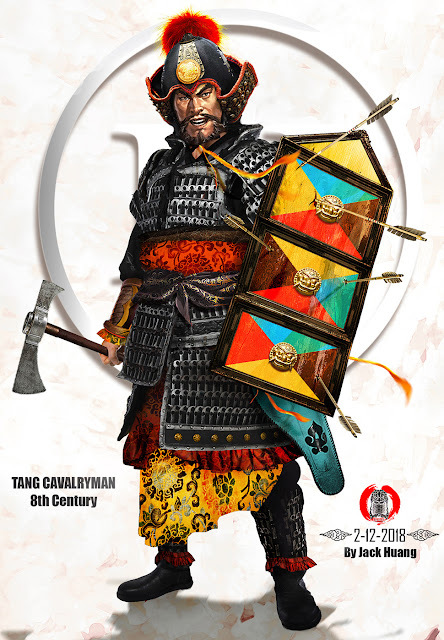 I have always found the Tang helmets during this era really reminiscent of the early samurai armors, what's more interesting is that the Chinese themselves would discontinue such helmets while it became a common fixture of Japanese armor for a millennium afterwards. however, they would become a common fixture for the samurai helmets in Japan. 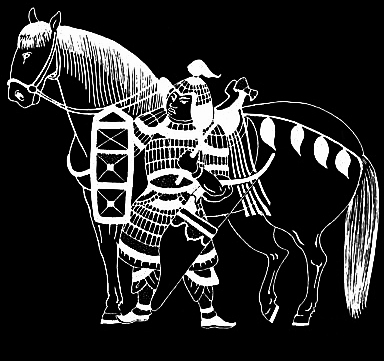 Many Tang officers wore the distinctive "Mingguang armor," distinguished by the twin breastplates that protected the torso, relatively lighter than the heavy lamellar armor- it was often preferred by the officer corp, these armor often marked the high status of its wearer- one of the reasons that many of the Tang dynasty tomb guardian figurines wears such armor. Early Heian era samurai helmets were influenced by these cavalry helmets- especially the cheek pieces. 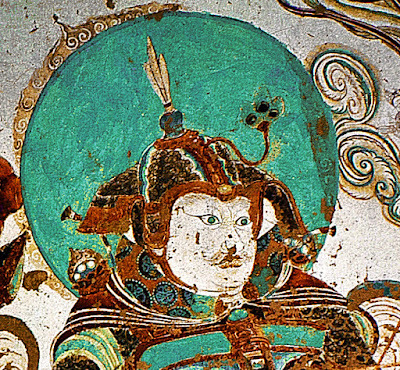 Another Celestial Guardian from Yulin Cave 25 Maitreya Sutra in China, displaying a guardian with a helmet with prominent winged cheek pieces- for the samurais of the succeeding centuries, namely during the Hein era- they would term such pieces Fukigaeshi. 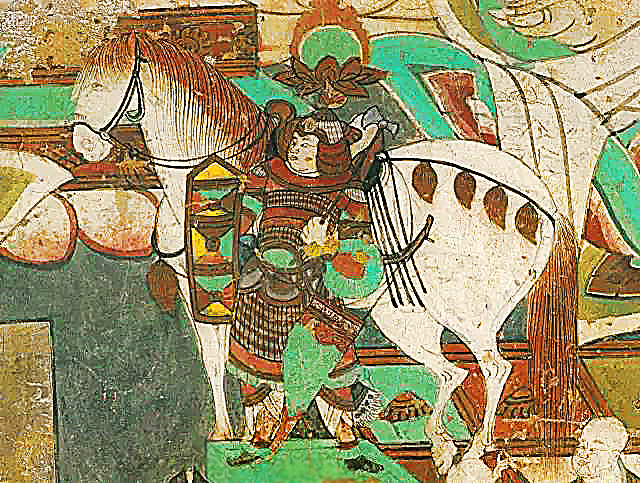 A rare example of a Tang heavy cavalryman from the Yulin Cave #25 Northern Wall. The massive plume and orb like object above his head is not attached to the horseman but rather a foreshortened object in the background. 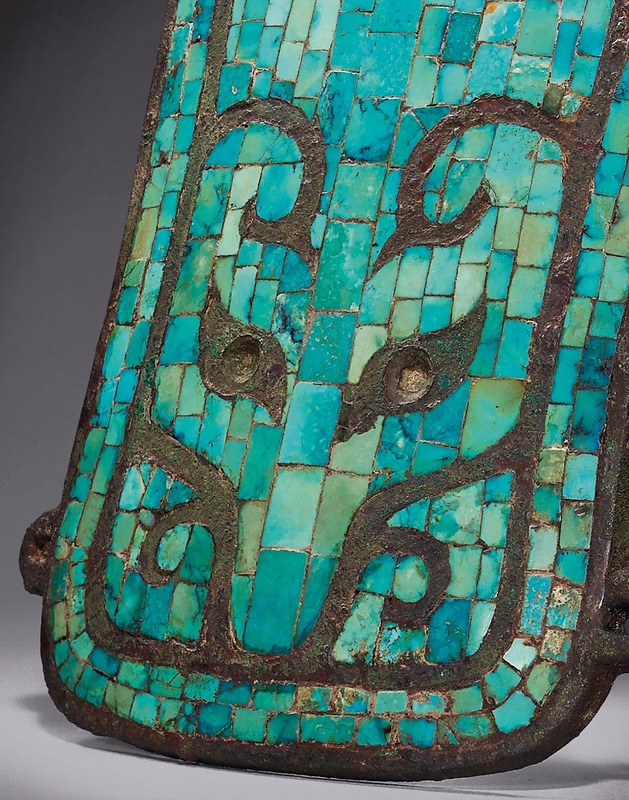 The soldier is almost entirely encased in heavy lamellar armor, and carries a distinctive painted lacquer shield with kite- like 4 color motif. In his left hand he carries a battle axe and a bow is slung by his side. 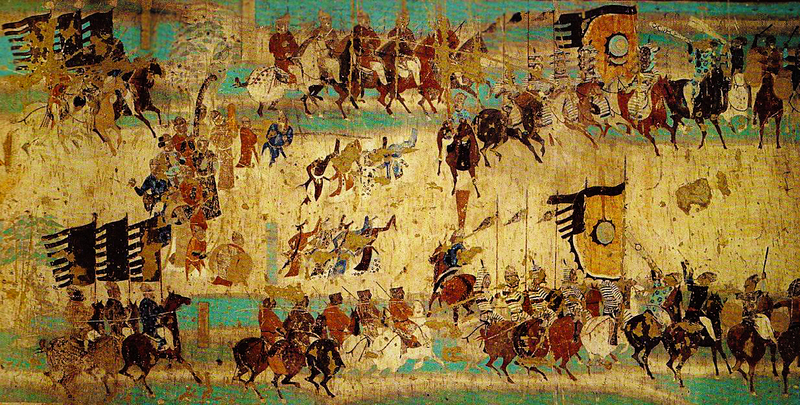 Closeup of of a military parade from the Mogao Caves which displayed the Tang heavy cavalry in full combat gear, supplanted by heralds and ensigns (probably Central Asian auxiliaries) in silk uniforms. 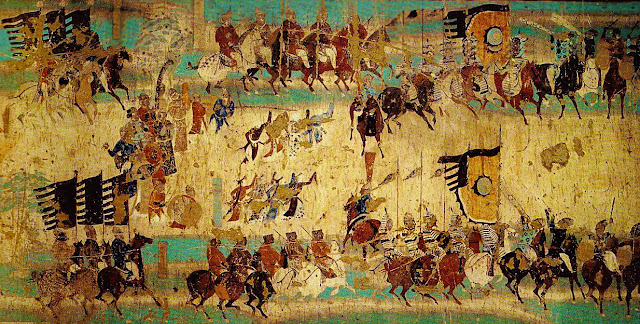 The surburst banner depicted here in orange, teal, and a golden center have led some historians to suggest it was the official sigil of the Tang empire. 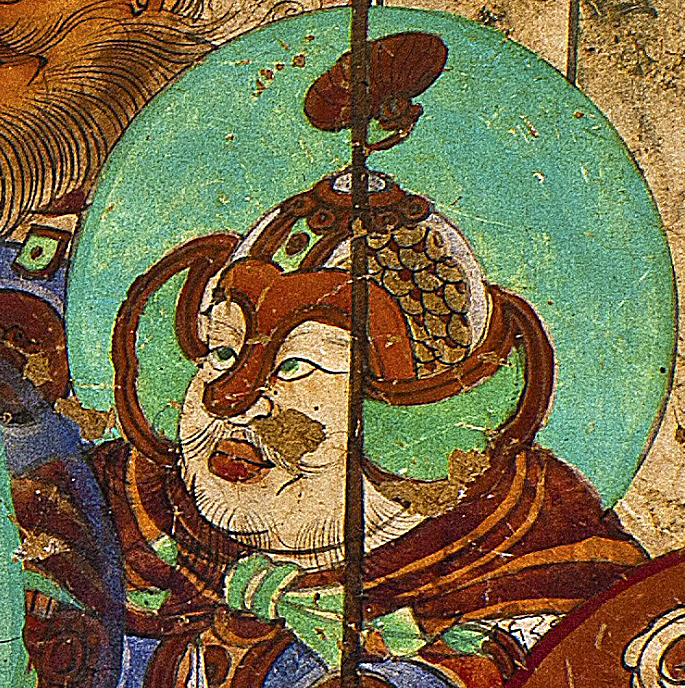 depicting a Tang officer's armor in detail. Really enjoyed this,so good to see scource of murals etc Is the illustration from a book ? Many thanks,Ian. Are you referring to the illustration of the Tang helmet? 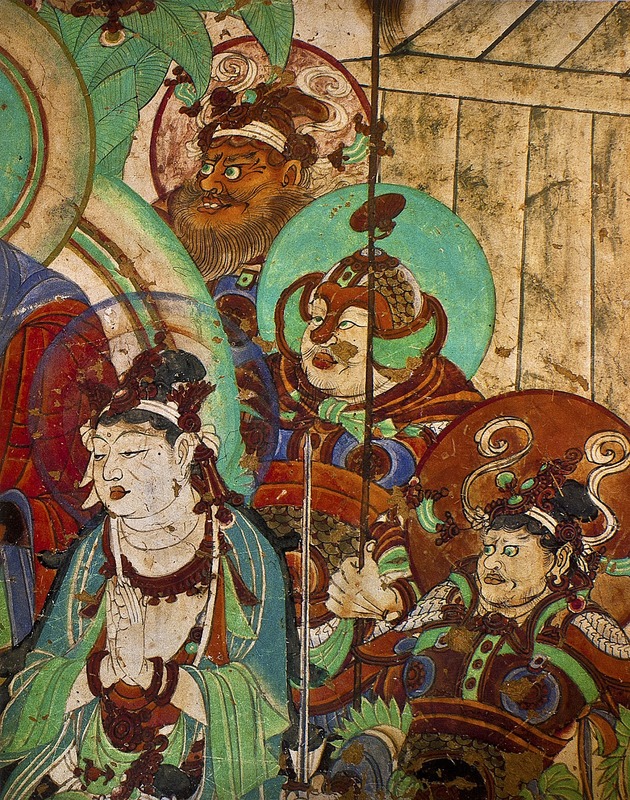 Most of the images were murals from the Yulin and Mogao Caves. 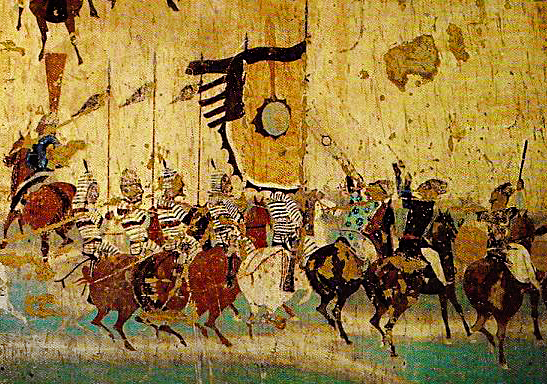 That banner depicted in the cave paintings and your illustration is the official Tang sigil? An abstract design without Chinese characters? Is this possible? "Is this possible" I have to say I am a bit confused by your wording here friend, can you elaborate? I'm assuming you are saying "Is this correct" or "This is true, yes." As for is Chinese themselves capable of using abstract sigils and symbols to convey meaning...well, yes, yes they can, their language is...proof of that. JK :D, So far its only some factions of historians that have suggested that. Though even if its the regional war banner of a frontier Governor, it's still during this period. Thanks for the response. Let me clarify my poorly spoken question. 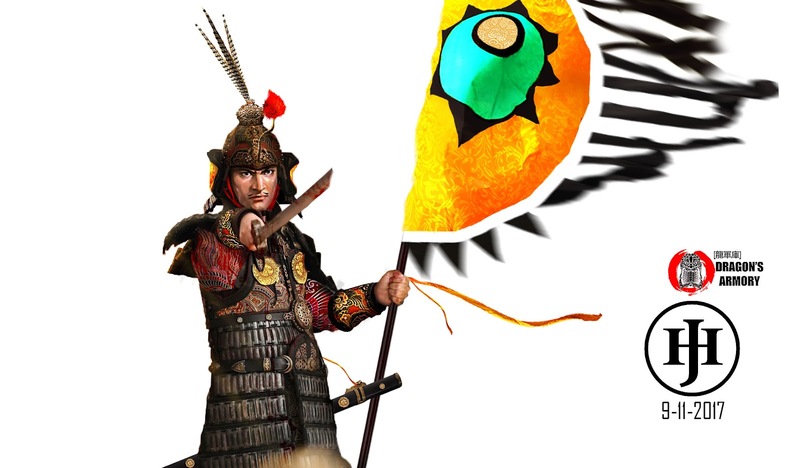 I mean that this flag is very uncharacteristic of ancient Chinese flags is it not? Or am I influenced too much by Chinese movies and TV shows LOL ?? I was under the impression that traditional flags used by the Chinese had a Chinese character denoting a the name of a dynasty or surname? You find this in Western flags too with words written out like many American State flags. Personally I find this type of design motif more appealing in Chinese flags because the Chinese writing system. Well, that's true, but you have to take into cultural/ Folk superstitions as well as regimental identities. For instance, often you will find flags depicting the Big Dipper and the North Pole Star as a sigil, other times you find ones depicting 4 of the cardinal directions, such as the Azure Dragon, Black Tortoise, Vermillion Bird and White Tiger. 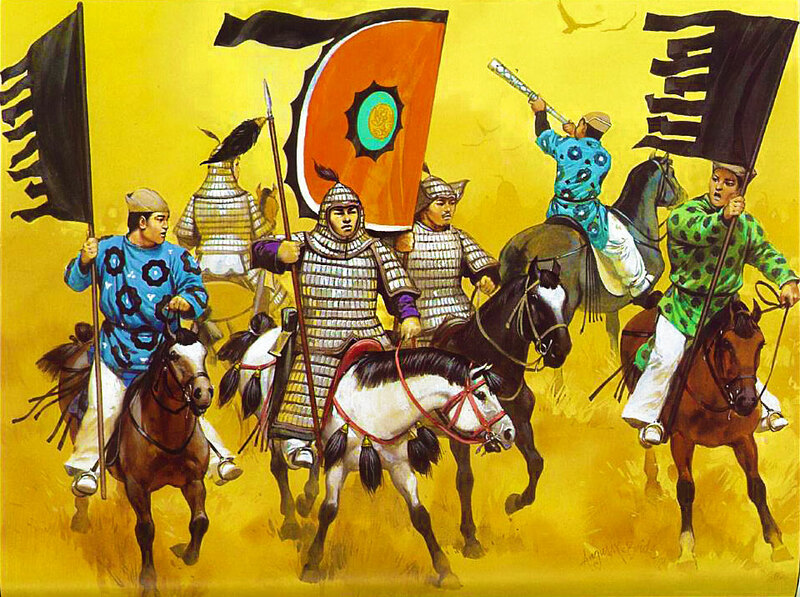 The commander's own units would usually have prominent, as well as small hand held signal banners with "令" (lit. command) on them. Great info Old Beast, thanks. Before the rise of Buddhism and popularity of Daoism, ... I'm thinking during the Spring and Autumn Period and of course the Warring States Period ... what were the banners like then?? Hard to know, since most of the artifacts from the era don't include fabrics and this is before the period where China had paper- so most of the writing are on bamboo tablets, and there isn't quite much tomb reliefs. 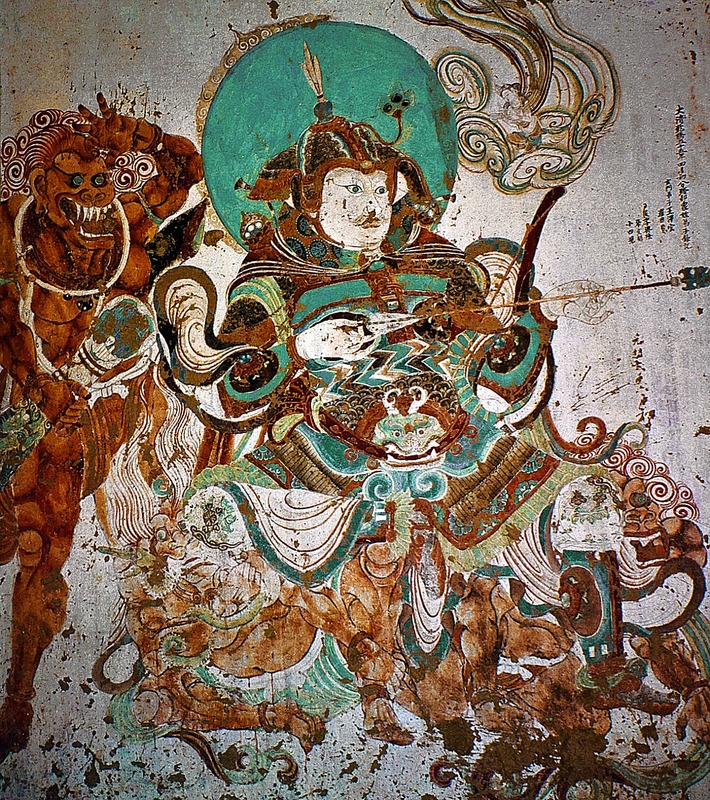 Most are lacquered boxes, wooden stands, bronze vessels, and ornate carved statues, though there is also the terrocotta warriors. 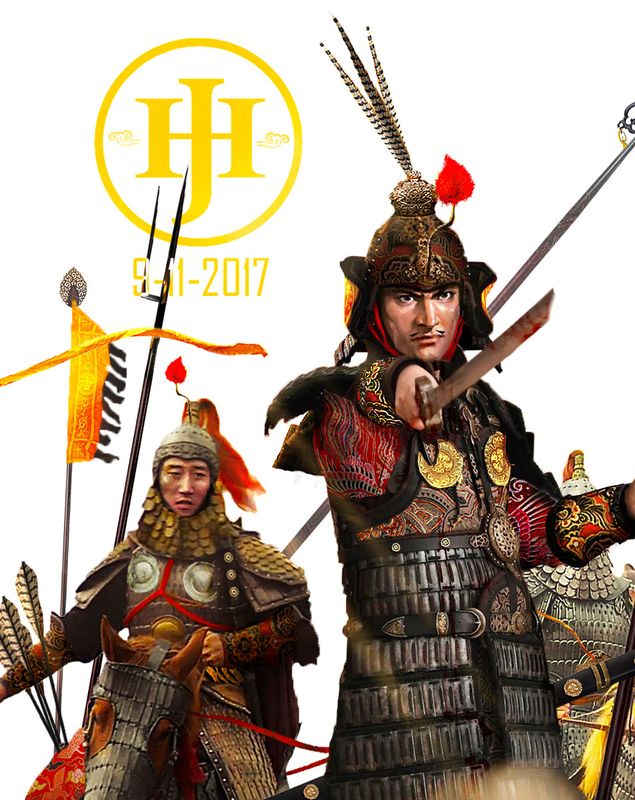 I do would like to postulate that its very likely there are many depiction of mythic animals such as Tigers- for instance the elite guards of the King of Western and Easter Zhou are called Tiger guards, which became a fixture in most Chinese armies afterwards. 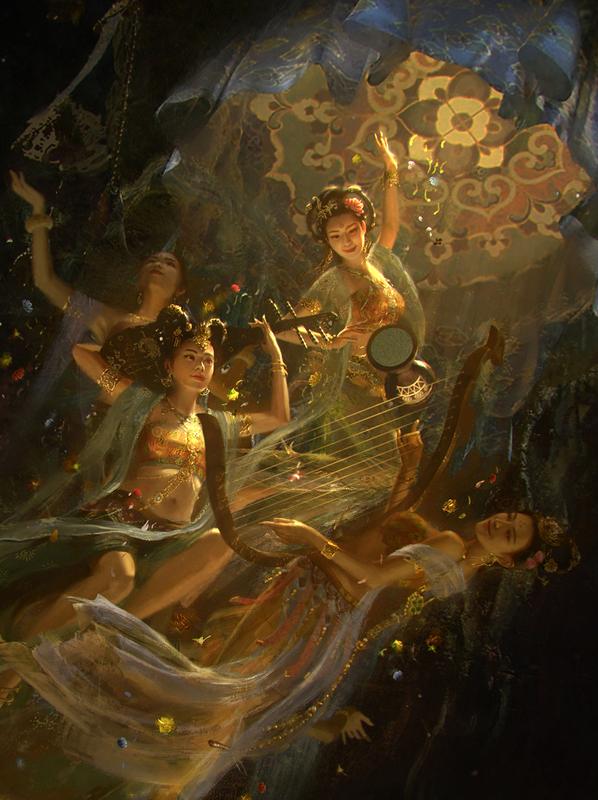 Or ones depicting Qi Lin and other mythical animals. 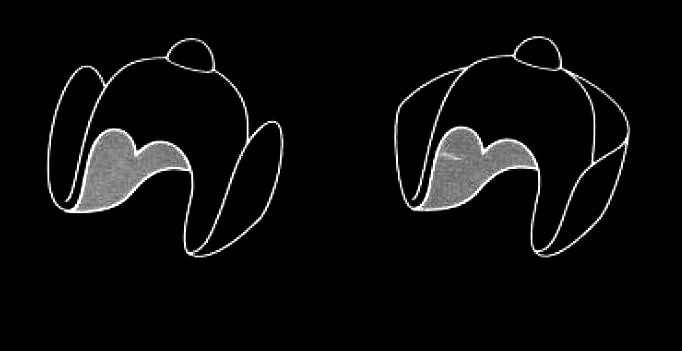 Another popular simple is the Big Dipper, 7 segmented gram figure which symbolizes ultimate arcane powers. eagle-faced Thunder God (雷神 Léishén) which has the head of a bird, winged arms, but wields weapons in both to punish sinners. Some historians seem to think these anthropomorphized mythical beasts are allegories, or at least the venerated totemic spirits of rival tribes that once fought against the legendary Yellow Emperor. And- just like the Gods of the Philistines who fought against the ancient Hebrews and Caananites, such as Dagon and Baal, these Gods eventually were appropriated or distorted into their eventual Chinese forms. 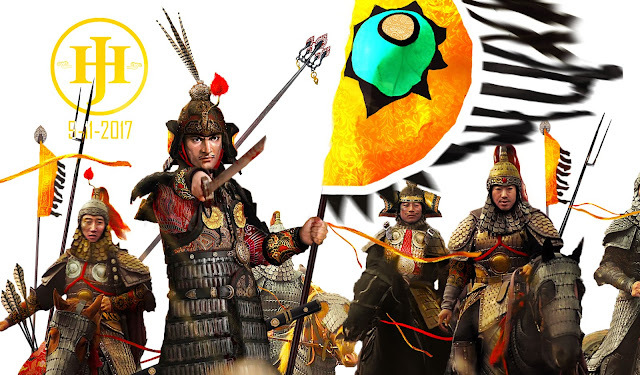 For more on the Yellow Emperor read here. He's legendary reign was pretty much an allegory of some ancient chieftan or King (Like King Arthur) that dominated the ancient Central Plains. I personally would bet that such a God like figure was once a man and a great conqueror but laid down laws and invented much until he's own life became almost supernatural. Never forgot that although Romulus existed, when he "died" the Romans described him as having being "lifted into a storm" during a thunderstorm, and he simply disappeared.